The Broncos went into Game 6 on Saturday night with a 3-2 series lead over the visiting Pats. The Broncos then went on to build up a 3-1 lead in Game 6. However, the Pats scored the last four goals in that one, for a 5-3 victory, then opened Game 7 in Regina on Monday by scoring the first four goals en route to a 5-1 victory. Regina hadn’t played host to a Game 7 in 45 years. 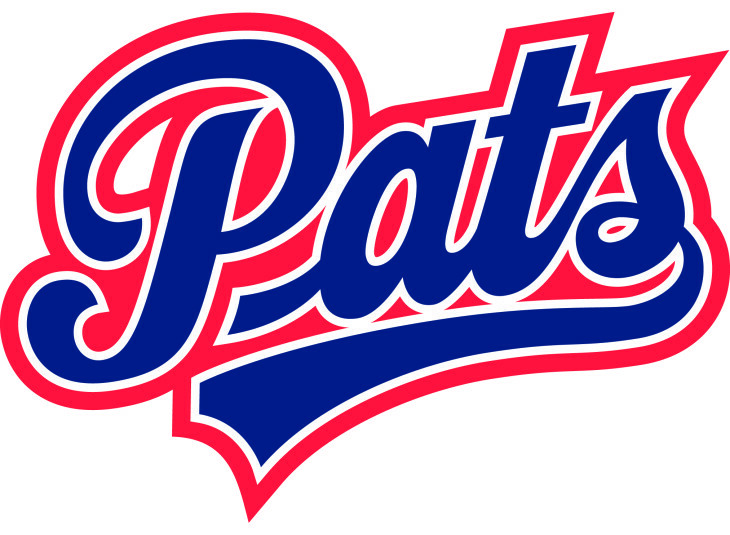 In 1972, the Pats beat the visiting Flin Flon Bombers, 3-2, in Game 7 to win a first-round series, 3-2-2. That was an eight-point series — the first team to eight points won — and there wasn’t any OT. . . . According to Pats historian Kevin Shaw, this also was the first time in franchise history that the Pats had won a series after trailing 3-1. The Pats are the oldest junior franchise in existence. F Adam Brooks was on the Pats’ bench for a third straight game Monday, and for a third straight game he didn’t get on the ice. Brooks, who put up 250 points over the past two regular seasons, injured a knee in Game 2 of the second-round series. He is in his final junior season, and it had to provide motivation for his teammates to have him there. You know that teammates would look down the bench, see Brooks and think: “We don’t want his season to end like this.” . . . Now we will have to wait and see if he’ll be able to play in the Eastern Conference final. A memorial was built, a winning team was iced and our town rallied behind @SCBroncos in a way many haven't seen in their life. Good year. The Broncos may have bowed out in the second round but you can bet that the community-owned team’s board of directors will look at this as a successful season. They got six home playoff dates and that will make a huge difference to their bottom line, likely guaranteeing a profit for the 2016-17 season. That’s rather important for the team that plays in the 60-team CHL’s smallest market. If you’re a regular visitor here and if you like what you see — or even if you don’t — why not help the cause by clicking on the DONATE button and helping the cause. Most of the money donated here ends up in the hands of local restaurateurs. If you have info you would like to share or just a general comment, send an email to greggdrinnan@gmail.com. With the visiting Washington Capitals and Toronto headed to OT on Monday night, Bryce Thoma, an assistant coach with the Saskatoon Blades, picked Tyler Bozak to win it for the Maple Leafs. Bingo! Bozak’s goal gave Toronto a 4-3 victory. . . . That came one day after Thoma picked Ottawa D Dion Phaneuf to score in OT against the visiting Boston Bruins. Bingo!! Phaneuf won that one. . . . Thoma was last seen headed for a lottery kiosk. You are aware, of course, that the Toronto Maple Leafs have as many victories in these playoffs (2) as the Toronto Blue Jays have in the 2017 regular season. You are aware, too, that Canadian teams now are 8-7 in the NHL playoffs, which comes after starting 0-5. Canadian teams also are leading in four series. Sorry, NBC-TV. . . . OK. You may have seen that coming. But no way you saw Dart Man as a first-round star. F Axel Blomqvist (Lethbridge, Victoria, Moose Jaw, 2012-15) has signed a one-year contract with Osby (Sweden, Division 2). This season, he had two goals in six games with the Tulsa Oilers (ECHL); went pointless in seven games with Södertälje (Sweden, Allsvenskan); and had a goal and two assists in seven games with Kristianstad (Sweden, Division 1). F Keegan Iverson of the Portland Winterhawks has joined the Ontario Reign, the AHL affiliate of the NHL’s Los Angeles Kings. Iverson, who played out his junior eligibility this season, had 70 points, including 26 goals, in 55 regular-season games with Portland. In five seasons with the Winterhawks, he had 80 goals and 110 assists in 293 games. He also may be the only player in WHL history to have played at least one playoff game in six consecutive seasons. . . . Iverson, from St. Louis Park, Minn., was selected by the New York Rangers in the third round of the 2014 NHL draft but never signed. Two days after being named to Team Canada’s roster, F Cody Glass of the Portland Winterhawks scored twice and added an assist in a 7-3 victory over Switzerland at the IIHF U-17 World Championship in Poprad, Slovakia, on Monday. Glass and the Winterhawks were eliminated from the WHL playoffs on Friday in Kelowna; he was added to Team Canada’s roster on Saturday morning. . . . F Stelio Mattheos of the Brandon Wheat Kings also scored for Canada, giving him at least a goal in three straight games. F Tate Olson of the Tri-City Americans scored for Canada, too. . . . Finland (3-0-0-0) leads Group A with nine points. Canada (2-1-0-0) is second, with eight. Teams get three points for a regulation victory, two for an OT victory and one for an OT loss. . . . Canada meets Finland today as the round-robin portion of the tournament ends. It was like dominoes falling in the OHL on Monday. . . . The Sudbury Wolves announced that Barclay Branch had stepped down as general manager. Later in the day, he was named vice-president of hockey operations and general manager of the Flint Firebirds. . . . In Flint, Branch replaces George Burnett as GM. You may recall that the OHL sent Burnett into Flint a year ago to, according to an OHL news release, “re-establish the team both on and off the ice.” . . . Later on Monday, Burnett was named GM and head coach of the Guelph Storm and, to complete the circle, Rob Papineau now is the GM in Sudbury. . . . There’s more on these announcements at ontariohockeyleague.com. Reports late Monday night indicated that Grant Potulny, an assistant coach with the Minnesota Gophers, will be introduced today as the head coach of the Northern Michigan Wildcats. Potulny, 37, is from Grand Forks, N.D., and is a cousin to former Portland Winterhawks F Paul Gaustad. . . . Potulny played four seasons at Minnesota, then went on to a pro career that ended after the 2008-09 season. He has been on staff at Minnesota for eight seasons and also has twice been an assistant coach with USA Hockey’s national junior team. . . . At Northern Michigan, he will take over from Walt Kyle, whose contract wasn’t renewed after 15 seasons there. At Regina, the Swift Current Broncos didn’t have an answer for the Man of Steel as the Pats posted a 5-1 victory in Game 7 of a second-round series. . . . The Pats will open the Eastern Conference final at home on Friday night. The opponent will be the winner of tonight’s Game 7 between the host Medicine Hat Tigers and Lethbridge Hurricanes. . . . Regina hasn’t been in the conference final since the spring of 1993. . . . Regina F Sam Steel, the WHL’s reigning scoring champ, went into last night with three goals and six assists in the first six games against the Broncos. He gave the Pats a 1-0 lead at 2:19 of the first period and made it 3-0 at 9:19 of the second period, with his seventh goal of these playoffs. Both of last night’s goals came on rebounds. . . . In between, F Filip Ahl added his second goal, at 4:57 of the first period, scoring on a breakaway after two Broncos defencemen collided at their blue line. . . . F Austin Wagner increased Regina’s lead to 4-0 at 15:36 of the second. . . . Trailing 4-0 and on the PP with six minutes left in the third period, the Broncos pulled G Jordan Papirny for an extra attacker and F Conner Chaulk (2) got them on the scoreboard at 14:33. . . . Shortly after, the Pats took another penalty and Papirny was back on the bench. This time, Wagner scored a shorthanded goal into the empty net. He’s got 10 goals now. . . . The Pats got three assists from D Connor Hobbs, with Ahl adding an assist to his goal. . . . The Broncos were without F Lane Pederson for a second straight game. . . . Swift Current was 1-6 on the PP; Regina was 0-5. . . . The Pats got 23 saves from G Tyler Brown, while Papirny blocked 38. . . . Papirny ended his career with a combined 159 regular-season (119) and playoff (40) victories. That is believed to be second in WHL history, behind Mac Carruth, who put up 166 (117 and 49) victories with the Portland Winterhawks. . . . Papirny recorded 145 victories with the Brandon Wheat Kings, who dealt him to the Broncos in January. . . . G Tyson Sexsmith is believed to hold the WHL record for regular-season victories, having put up 120 with the Vancouver Giants. He also had 30 playoff victories. . . . Announced attendance: 6,484, the 20th sellout of this season in Regina. Job well done @WHLPats As much as it hurts to see the @SCBroncos run end, u deserve a stick tap for handling adversity very well. Good luck!